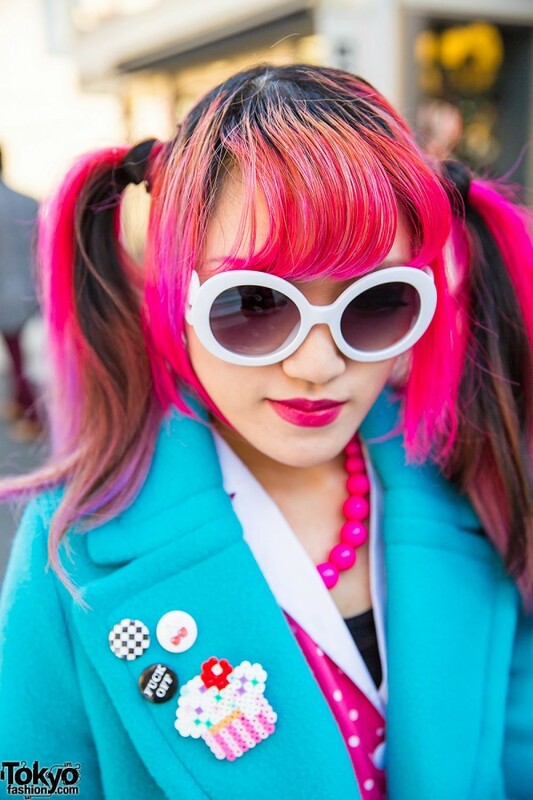 Many fans of Japanese street fashion already know Lisa 13, the 20-year-old pink-haired guitarist of the j-rock band Moth In Lilac. If you don’t know Lisa, please check out our short Lisa 13 Documentary on YouTube. 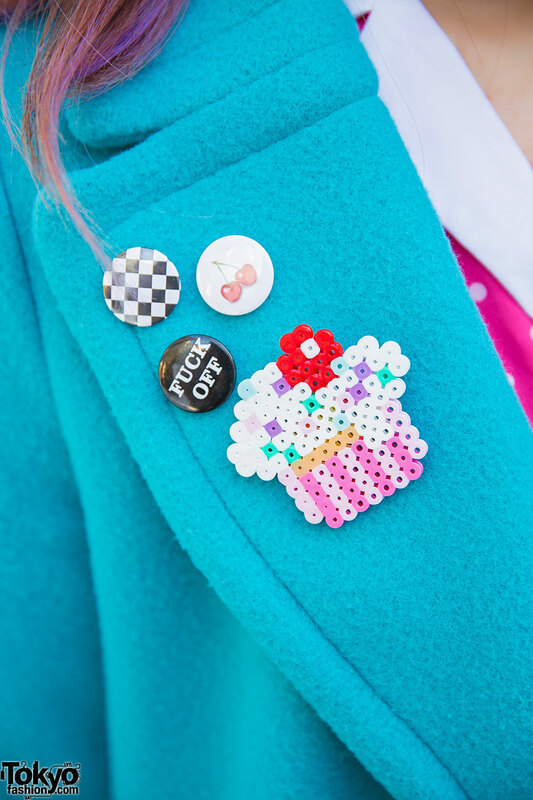 When we met Lisa this time in Harajuku, she was wearing a pink dress from Sourpuss with a blue jacket from GRL. 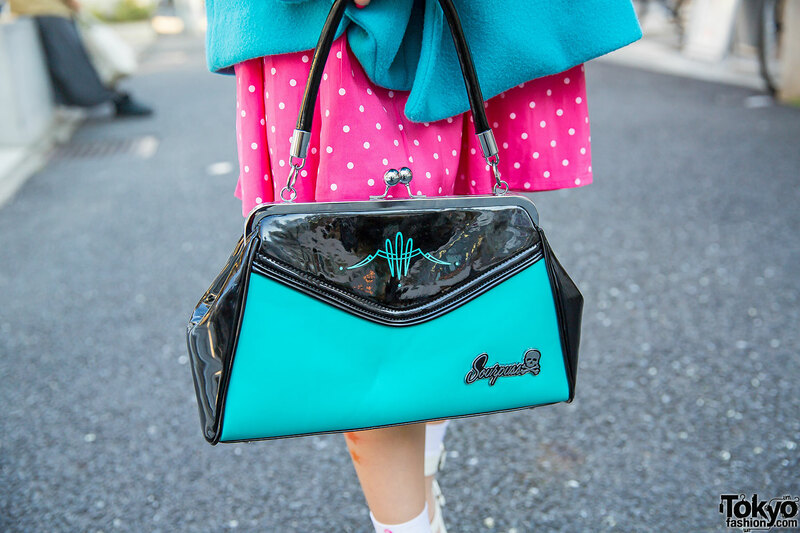 Her purse is also from Sourpuss and she bought her bow platform sandals at Laforet. Her flamingo socks are from Pameo Pose, and she’s accessorized with white sunglasses, a beads necklace, pins and rings. Lisa likes to dress from LEMONed and Sourpuss, and she likes listening to Motionless in White, Wednesday13, Murderdolls and Korn. She posts daily updates and pictures on Twitter and Instagram. Also check out the official website for her band Moth in Lilac. Love the clash of turquoise and pink and those flamingo socks are just too cute!